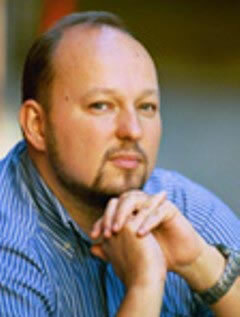 Trofimov has been a foreign correspondent for the Wall Street Journal since 1999. What follows here is a brief overview of a book rich in scholarship and detail, and easy to read. One of the leading characters in this book is Juhayman, whose family was of Bedouin and Wahhabi heritage, his kin having been with the Ikhwan fighters. He was forty-two in 1979, the year of the siege at Mecca. He had served in the Saudi National Guard, reaching the rank of corporal before retiring in 1973. He had not forgiven King al Saud "for the indignities that had been inflicted upon his kin." Bedouins were a people who lived without advanced technology or luxuries, and Juhayman saw corruption in these. He believed that the Saud family had become corrupted by things Western. He was in tune with a teacher of his, the blind cleric Bin Baz, who was opposed to hanging pictures, clapping hands and any kind of emancipation for women, including women as teachers for boys. 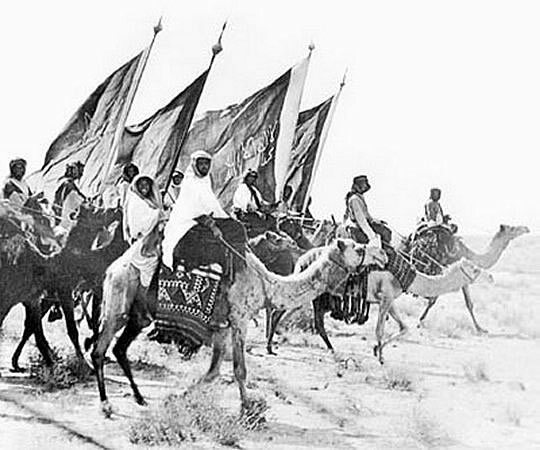 Juhayman built a movement dedicated to overthrowing Saud family power and establishing rule that was true to Islam. The turn of the century was coming, the year 1400 according to the Islamic calendar, and it was seen by Juhayman as having a supernatural significance. Juhayman and friends saw a number of divine signs and believed that with the new century would appear the prophesied redeemer of Islam: the Mahdi. Juhayman found recruits among those younger than he, including his young brother-in-law, Abdullah. Juhayman, and perhaps a few others, tried to convince Abdullah that he was the Mahdi. Abdullah was skeptical for a while, but with an adequate application of religiosity he was won over. Recognizing the hostility of Juhayman's group to the royal family, Saudi authorities moved against them, imprisoning some and sending Juhayman into hiding. The cleric Bin Baz had influence in government circles and recommended that the detainees be released, and they were. Juhayman had co-conspirators who had studied at the Grand Mosque academy and "knew every nook and cranny of the compound." The day before the first day of the new century the conspirators parked three pickup trucks in the compound's basement – the trucks filled with an abundance of weapons, ammunition and food. Early the next morning the conspirators, "hundreds" in number, were at the Grand Mosque among the more than 100,000 pilgrims from around the world. Juhayman's men closed all gates to the mosque, fired their weapons into the air and announced what they were doing. The pilgrims were now prisoners. One by one, with weapons in hand, the conspirators knelt down, kissed the supposed Mahdi's hand and offered an oath. Some pilgrims joined in. Ikhwan (brethren), perhaps in the 1920s. Before the day was over, Saudi police arrived and were shot and killed. The conspirators had restricted themselves to shooting at uniformed agents of the government. They were skilled marksmen, with weapons that had good range, and they occupied the top levels of the mosque's minarets. The government was stunned and slow in understanding what was happening. They tried to seal off news of the event to the outside world, but some Americans managed to notify the Carter administration in Washington. Washington played on fears of its enemy, Iran under Ayatollah Khomeini, which was holding hostages at the U.S. embassy. An assumption was made that the rebels at the Grand Mosque were Shia spreading Khomeini's revolution. This was passed to the media, an article in the New York Times quoting an American official who described the militants in Mecca as likely to be responding to Khomeini's call for an "uprising by fundamentalist Muslims." President Carter decided that he had to act, and he ordered a battle group from Subic Bay in the Philippines including the carrier Kitty Hawk to the Persian Gulf to enhance Saudi Arabia's sense of security. 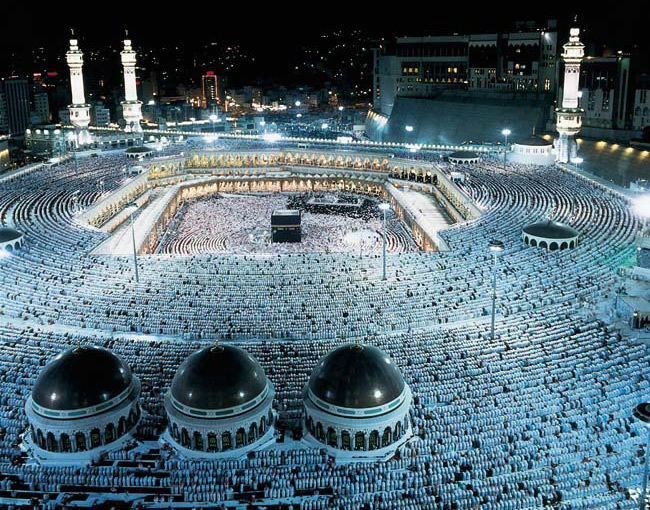 Learning that news of the Grand Mosque takeover had been leaked, the Saudis were outraged. Iran's foreign ministry was also outraged at what he saw as an accusation from Washington. A message from the Ayatollah Khomeini was broadcast over Iranian radio accusing the U.S. and Israel of being those who were orchestrating the despicable horrors in Mecca. In days that followed, people across the Muslim world responded to Khomeini's description of the events at Mecca, without a clear and adamant denial from Saudi Arabia. In Pakistan, Bangladesh, Turkey, Libya, Kuwait, and among Muslims in India, places identified as American were targeted – embassies, consulates, U.S. information and culture centers, a Bank of America branch, an American Express office and Pan Am offices. In Hyderabad, India, where there were no visible American targets, Muslims turned against their Hindu merchants who had not shuttered their stores as had Muslim merchants. The violence continued for days, until security forces there overwhelmed the rioters, making more than a thousand arrests. At the U.S. embassy in Pakistan a crowd chanted "Death to American dogs" and broke into the compound, while Marine guards were not allowed to fire their weapons. Demonstrators firing weapons killed one Marine and a U.S. Army warrant officer. Embassy personnel, 137 of them, huddled inside the embassy vault, nearly overcome by the heat and suffocation while the embassy burned, and they waited for help from Pakistani police, which did not come. 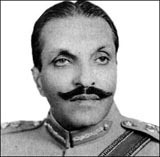 Pakistan's dictator, General Zia, was playing to the crowd, reluctant to alienate his fellow Muslims. While the lives of embassy personnel hung in the balance, he promised to make Pakistan "an impregnable fortress of Islam," proclaiming "the situation" at the Grand Mosque "extremely sad" and proclaiming that "Muslims must pray to God Almighty to bestow His blessing and mercy on the Muslim World." No help to U.S. Embassy personnel came from Pakistani police. Now free to defend themselves with firearms, those huddled in the embassy vault fired back against those at the vault hatch on the embassy's roof. Night came and the embassy attackers went away. The Carter administration was misinformed, believing that Zia had immediately dispatched troops to the embassy. President Carter and Secretary of State Vance praised Zia and his troops for their stellar behavior, leaving those who had suffered through the attack on the embassy livid with anger against Carter. Secretary Vance moved to evacuate his diplomatic corps from the Muslim world – except in Saudi Arabia - to forestall other hostage situations from developing. U.S. embassies became hollow shells. Trofimov writes that Muslim radicals noticed that when hit hard, as Osama bin Laden would say, America retreats. Meanwhile, when the crisis at Mecca broke out, Pope John Paul II was visiting Turkey. A young Muslim radical, Mehmet ali Ogca, managed to escape from a Turkish prison, describing his reason for doing so the siege at Mecca. He described the Pope's visit as part of the infidel plot at Mecca and the Pope as masquerading as a man of faith. He warned that "the crusaders" would pay for their misdeeds. It was Agca who would shoot and wound the Pope, in 1981. At the Grand Mosque, Saudi troops were attacking with armored personnel carriers and fifty caliber machine guns and more heavy weaponry. Snipers were blasted out of the nests high in the minarets. The Mosque's ground level was cleared of rebels. The fighting continued in the vast basement area, which Saudi troops penetrated with armored vehicles. The floor was slippery from blood and human entrails. Pilgrims remained trapped, with Saudi troops firing at anything that moved. Mohammed Abdullah, the supposed Mahdi, was at the forefront of the fighting, apparently believing that he was more than mortal and impervious to bullets. He picked up the flash-bang hand grenades tossed his way and tossed them back. All one throwing the grenades had to do was count off a couple of seconds after pulling the grenade pin and then throw the grenade. The grenade would go off before Abdullah could throw it back, which is what happened, leaving him bleeding and out of action on the floor. Under barrages of fire, Juhayman's men were unable to rescue their Mahdi, "who writhed in agony amid the toxic haze." Juhayman was asked by his men whether Abdullah's death meant that their venture was a mistake. Juhayman asked in return how anyone could question God's command and what proof anyone had that Abdullah was dead. The battle for justice on Earth, he shouted, must go on. He said that he would stay and fight if he were the only one who remained. Swayed by his ardor, writes Trofimov, his men stayed. Saudi authority decided that their troops were too slow in defeating the rebels and that Saudi family rule was indeed threatened. Reluctant to seek help from the U.S., the Saudis approached the French, who sent three men from their secret force, the Groupe d'Intervention de la Gendarmerie Nationale (GIGN), to train Saudi officers in efficient tactics. A threat to the government existed also in an uprising from November 25 to November 30 in Saudi Arabia's eastern oil producing region along the Persian Gulf. The rebels there were youths belonging to the country's Shiite minority, moved by rumors about the events in Mecca. The Saudi government blacked out all news of the uprising in the eastern region. Blood flowed there, the Saudi National Guard using armored personnel carriers, machine guns, helicopter gunships and artillery. The uprising ended with the rioting youths dispersed and in shock and an older generation of Shiite leaders successfully suing for peace. Fighting in the basement of the Grand Mosque lasted to December 4. It was on that day, at a National Security Council (NSC) meeting that President Carter accepted the idea put forth by his National Security Advisor, Zbigniew Brzezinski, that demonstrations of weakness could be disastrous, that it was necessary to demonstrate strength. It was the beginning of what would be called the Carter Doctrine, intended to demonstrate U.S. strength and commitment to the defense of countries in the Persian Gulf region that were of "vital interest" to the United States. The last of the rebels in the basement of the Grand Mosque, including Juhayman, were taken prisoner on December 5. A few days later, U.S. negotiators flew to Oman to discuss establishing a military base. For years, Saudi Arabia had been speaking of the threat to it by Communism – in addition to the republicanism that had been espoused by Egypt's Nasser. Now, assessing the threat to Saudi Arabia from the extremists who had attacked the Grand Mosque, it was recognized that had Juhayman and his group attacked a vital target rather than a religious symbol they might have succeeded in their goal of overthrowing the monarchy. The Saudi king, Khaled, is reported to have told foreign visitors weeks after the battle that had Juhayman "attacked my palace, he might have met with more success." This was before the internet and live satellite news was available for Juhayman's risings to attract more activist support. On January 9, 1980, Juhayman and 62 of his followers were beheaded. The cleric Bin Baz and other radical clergy, described by some as Wahhabi, had switched sides, favoring Saudi authority. Bin Baz (Abd-al-Aziz ibn Abd-Allah ibn Baaz) in 1992 would be appointed Grand Mufti of Saudi Arabia, Head of the Council of Senior Scholars and president of the administration for scientific research and legal rulings. Juhayman's influence remained. One of the pilgrims who had watched the takeover in Mecca had taken a Juhayman leaflet home with him to Egypt. Trofimov describes him as sharing it and exciting tales of the Mecca events with his brother Khaled, a first lieutenant in the Egyptian army, who began an eighteen month "path to martyrdom." It would be this brother, in 1981, who would fire several bullets into the "pharaoh" Anwar Sadat, Egypt's president, for betraying Islam and making peace with the Jews. One of those who had a "personal bond" with Juhayman's movement was a Palestinian preacher, Isam al Barqawi, alias Abut Mohammed al Maqdisi. He wrote that Juhayman had been wrong about the Mahdi but that this was "nothing compared to the enormous crimes of the Saudi government." He argued that by sending soldiers against Juhayman, the Saudi state was the first to violate Koranic prohibitions against waging warfare in "the holy precinct." Trofimov writes that one of those influenced by Maqdisi was the person who planted the bomb, in November 1995, that destroyed the National Guard building in Riyadh, killing seven people, including five Americans. Maqdisi at this time was behind bars in Jordan. His cell mate "a co-conspirator and favored pupil" was Abu Musab al Zarqawi, the future leader of al Qaeda in Iraq. Trofimov writes that Osama bin Laden, a Saudi citizen and 23 at the time of the siege at Mecca, could not help but feel sympathy for Juhayman and his cause. In the mid-1980s according to an associate, bin Laden in a private conversation said that "the men who seized the Mosque were true Muslims." Trofimov writes that after the massive deployment of U.S. troops in Saudi Arabia in 1990-91, bin Laden "started to repeat almost word for word Juhayman's repudiations of the [Saudi] royal family. 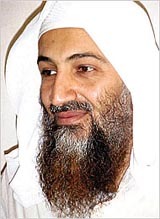 Bin Laden railed against non-Muslims on Saudi soil, against banks violating Islamic prohibitions on usury, and against "the royal family's dalliance with Christian powers." And in 2004, on tape, bin Laden praised Juhayman and faulted the Saudi regime for having defiled the sanctity of the Grand Mosque.